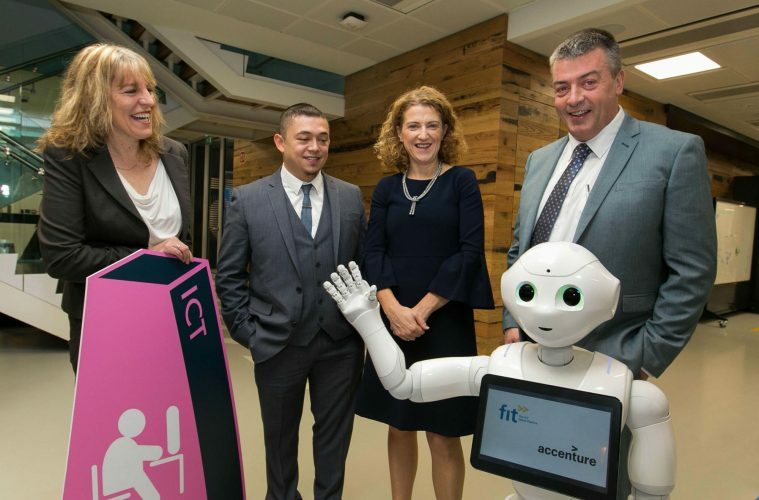 FIT Ltd. (Fast Track into Information Technology Limited) with the support of Accenture, SOLAS, Education and Training Boards and the Apprenticeship Council has announced two forthcoming new ICT apprenticeships, the first of their kind in Ireland. International experience indicates that ICT apprenticeships help technology businesses build a skilled and motivated workforce in a timely and cost-effective manner. Employers of all sizes gain access to adept tech enthusiasts who attain bespoke skills that enable them to be highly productive and to ‘hit the ground running’ in a relatively short period. The two-year paid programmes, based on a dual-education model, integrate college-based learning with on-the-job application in companies such as Accenture and culminates in the attainment of the ICT Associate Professional Apprenticeship Award. All training costs of the apprentices will be covered by the State through the National Training Fund. FIT manages all aspects of the programme and coordinates employer input.